Our pressure cooker recipes are developed and tested at close to sea level. 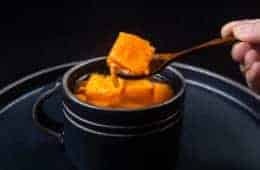 If you live in a high altitude city (over 3000 ft above sea level), you will have to use our Pressure Cooker High Altitude Cooking Time Adjustment Chart to adjust the cooking times for our recipes. “Cooking time under pressure should be increased by 5 percent for every 1,000 feet after 2,000 feet above sea level.” – Anderson, B. M. (1980). New High Altitude Cookbook. 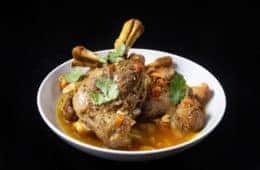 “In addition to altitude, the types of meat and the maturity and size of vegetables must be taken into consideration when determining cooking times under pressure. A one-to-two minute increase in cooking times is usually sufficient for most vegetables, except for such bulky roots as potatoes, beets and the like. At an altitude of 5,000 feet, these require an additional 5 minutes of cooking time.” – Anderson, B. M. (1980). New High Altitude Cookbook. If a recipe calls for a cooking time at High Pressure for 20 minutes at sea level = 20 minutes x 1.15 = 23 minutes. You will have to cook at High Pressure for 23 minutes in Denver. Can I use this Pressure Cooker High Altitude Cooking Time Adjustment Chart for my Stovetop Pressure Cooker? Yes, you can use the above chart for both electric pressure cookers and stovetop pressure cookers. Do I have to adjust the time in other recipe sites or cookbooks? This will depend on the altitude that the author used to develop their recipes. Be sure to ask them if it’s not stated in their websites or cookbooks. My older girls have me a pressure cooker for xmas (they are now my favorites lol). I live at 6,499′ in should I go with the 20% increase or the 25%? Thank you for your question! 22.5% or 25% will work fine! I currently live at 14 ft above sea level, but I will be moving up to around 2,450 ft above sea level next year. If I read your article correctly, I won’t need to adjust my cooking time at that level, is that correct? Thank you for your question. This is a general guideline. For some recipes like eggs, you may want to increase the cooking time by a minute. Thanks for the information. Over the past 5 years, we have learned pretty much how to adjust non-pressure cooking recipes for our 5,000 ft altitude here in W Texas. 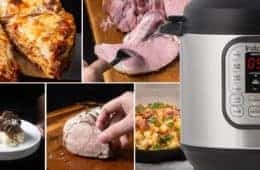 One of the reasons for buying an instant pot was we thought it would solve the problem by setting pressure to a fixed amount regardless of altitude, however the first two attempts to use it we had to go back and do an extra 6 or 7 minutes after ending up with hard split peas and baked potatoes. So we now understand the pot simply adds a fixed amount to the outside pressure and we have to learn all over again! Our understanding from above is we need to add 15% but not less than 5 minutes for potatoes or beets and to double the time for rice. From our experience doubling for split peas, grains and lentils – same as rice – might be needed. Does that seem right? My silicone sealing ring became stretched after using it several times a week for eight months. I put it in the dishwasher, top rack, after every use, so there was no smell. However, it failed to give me a good seal today, so I put in a new one and continued cooking is ring failure after this amount of use unusual or to be expected? Thank you for your question. It should last roughly 1 – 1.5 year. 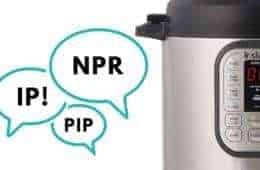 I came to your website because I belong to Chef AJ Ultimate Weight Loss (UWL) group and one of the members had a hard time cooking sweet potatoes in the Instant Pot. The person came across your Instant Pot recipe of cooking sweet potatoes. He made a picture copy of the recipe along with the name of your website. I love the article about high altitude cooking since I am at 4000 ft. altitude and have subscribed to your website. 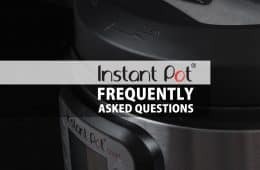 I have two Instant Pots (6 qt and 8 qt) and hope to get a 3 qt. Welcome to our site and thank you so much for your kind words! What kind of veggies are you planning to steam? I just made rice for the first time in my IP. It was a tiny bit hard. Not fluffy at all… I live at around 5,000 feet. If the rice cooks at 3 minutes, 15% would be 3.45 minutes. Can’t really do that, so should I just do 4 minutes maybe? Or maybe add a tad more water? It could also be the brand. Uncle Ben’s white rice always works best on the stovetop, but I didn’t use it this time. For rice, I would recommend cooking it for a bit longer. Maybe 6 minutes and then natural release. If it is still a bit hard, try adding 1/4 cup more water. I’ve tried twice to make yogurt in IP no yogurt button. It was a little thicker this time but not by much. Do I need to add more starter. How long should I cook it? I live at 8,000 feet. I was very happy to find your site as no cook books note the elevation. When I’m near my printer I’ll print out your wonderful time table. Thank you so much for your help. You will just need to make sure the yogurt reaches the 180F at the boiling stage and maintain the temp at ~111F in the incubation stage. You can do the “Boil Stage” a second time. I am also at 8000 ft and at this moment have a batch in the pot now. Have had several successful batches done this way. I just used the One Pot for the first time. I made an Asian Pot Roast (2.5 lbs) with 1 cup orange juice, 1/2 lime – juice; onions, carrots, garlic, seasoning. Using the stew option it cooked for 40 minutes. The meat was not done, liquid pretty much gone. I added another cup of orange juice and soy sauce and cooked another 35 minutes. It was very tough. Question, in addition to adding more time do you need to add more liquid? Thank you for your help. It sounds like your pressure cooker was not sealed properly to cause all the evaporation and undercooking. Make sure the venting knob is turned to the sealing position and the silicone ring is installed properly. I live in Santa Fe, NM. Altitude about 6900 ft. So, I am multiplying time times 1.3. It is working! But no one seems to be posting their altitude with their recipes. Moving to Santa Fe soon. Is there a reason you didnt multiply by 1.25 for a 7000ft elevation? I would increase it by 25% or 1/4. If cooking time is 12 minutes increase it by one fourth – (12/4 = 3)That would be a total of 15 minutes. 7000′ IDAHO 60 MINUTES ????? + 75 MINUTES????? À 7000′, ajouter 25% de temps de cuisson: 60 minutes + 15 minutes = Total 75 minutes. THANK YOU AMY AND JACKY FOR THE THIS IMPORTANT INFORMATION. With your #17 cheesecake recipe, would high altitude adjust the cooking time? I did the 28 minutes and it is cooling now? To make sure it is done should I add to the Oven? AHH.. Didn’t think about high altitude. Yes, the cooking time should be adjusted for everything. The very center (about 2″ – 3″ for a 7″ cheesecake) of a perfectly cooked cheesecake should still jiggle when you move it from side to side. 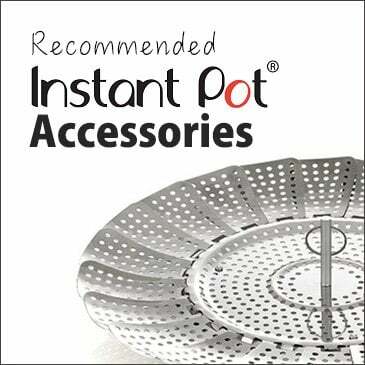 I want to use this for canning and I live in Denver… the manual says it will not work. Is there a work around? Its the primary reason I bought this pressure cooker. 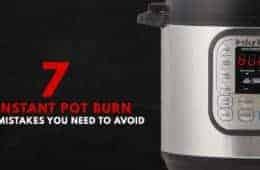 Pressure canning is not safe if you are using an electric pressure cooker. I just got my Instant Pot and did the water test (so exciting)! I live at 5000 feet (Reno, NV) and am so happy to have found you. I’m sure I’ll have questions once my cooking adventures begin! It seems like it takes me longer in Billings, MT (elevation 3500′) to come to cook pressure in my Instant Pot. Does this make sense? Water boils at a lower boiling point at higher altitude. It will take a shorter time to generate enough steam to seal the pressure cooker. Then it will take a longer time for the temperature to come up to pressure once the floating valve is up & the lid is sealed. How can I convert a slow cooker receipt to use in my (NEW arriving tomorrow) Insta Pot Pressure Cooker? I live at an altitude of 8000 ft.
Honey Garlic Chicken and Veggies – cook for 7-8 hours.